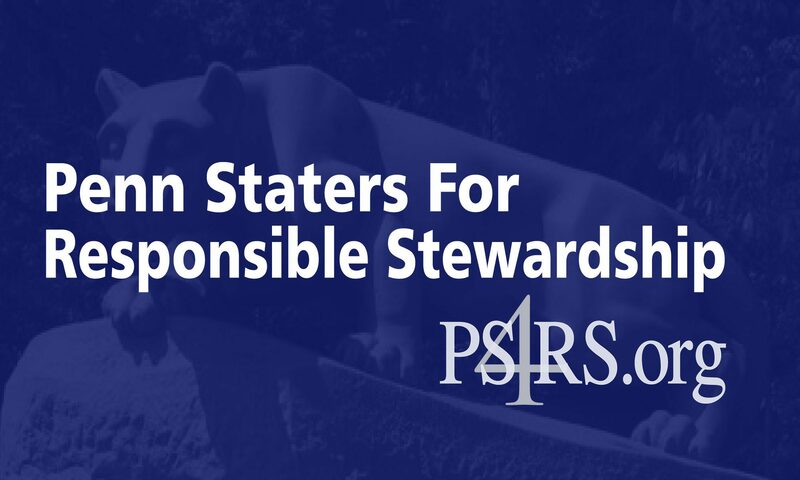 October 28, 2014 — The members of Penn Staters for Responsible Stewardship stand steadfastly by the resolution proposed by Al Lord and backed by the alumni-elected trustees. We are disheartened by the artificial time constraints placed on the meeting for a topic of such significant importance to our University. While the resolution was not approved, the victory for alumni and Penn State today was a roll call vote that illuminated individual positions on the Freeh Report. Those individuals will no doubt be held to their positions as the Report undergoes legal examination in a court of law, and will be held accountable for their breach of fiduciary responsibility as a result of their support of such a flawed investigation and resulting conclusions. For further information on PS4RS, please visit http://www.PS4RS.org, email ps4rsinfo@ps4rs.org, or go to http://www.facebook.com/PS4RS. Follow PS4RS on Twitter at @PS4RS.